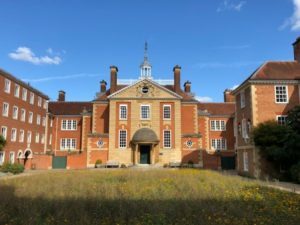 Recently, our founder Dr Andrew Chalmers went to the 10th Euromabnet Meeting, and as part of it the 5th Antibody Validation Workshop, held at Lady Margaret College in Oxford, UK. This event allows members of the Euromab network to present their latest research. Dr Chalmers presented CiteAb’s work on producing guidelines to help researchers validate antibodies for immunocytochemistry. The event is also home to an Antibody Validation Workshop, during which a number of ‘meet the expert’ sessions were held. Andrew took part in these, giving attendees an opportunity to ask him questions about validation. The antibody validation workshop, held as part of the meeting, was aimed at those who wanted to learn more about using antibodies, avoiding many of the common pitfalls that we often see causing problems. The workshop covered many of the subjects we discuss regularly here on our blog, from choosing the right antibodies (with a mention for CiteAb! ), through to the problems caused by poor validation, the theories and approaches that can be used to validate antibodies, and the need to cite the use of antibodies correctly to ensure results can be reproduced – something we really care about! Andrew said: “This was a great event, and I would really recommend it to any new researchers in the life sciences, or to those who are experienced but are using antibodies for the first time. Andrew was in good company presenting at the event, alongside scientists from many of the supplier organisations we work with. Abcam, Cell Signaling Technology, ThermoFisher Scientific and others were involved in the workshop and added to the wealth of knowledge available to delegates. Those interested in attending future events should visit https://www.euromabnet.com to keep an eye out for dates.